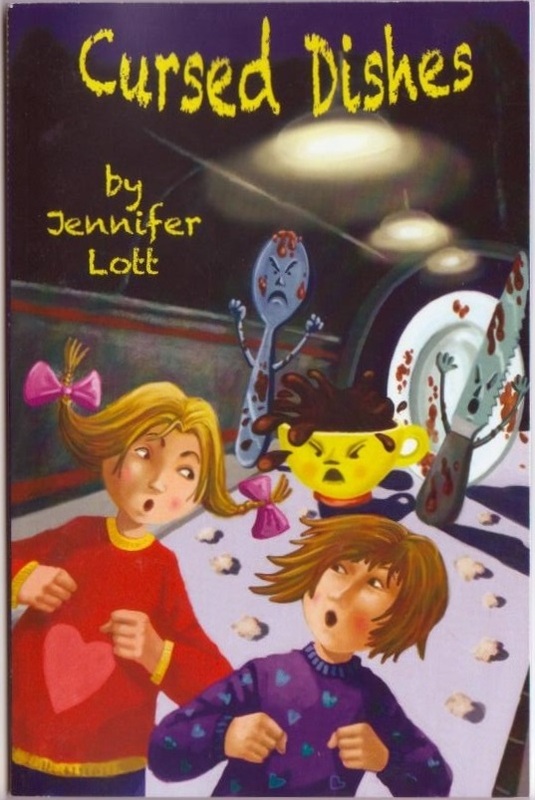 Book 1 of Jennifer Lott’s Family Magic series is now available through Indigo! Charlotte and Eileen know that dirty dishes are not supposed to follow them around. But when their big sister gets mad at them, their leftovers will not stay put. Crusts and soggy cereal are chasing them to school, getting in their clothes, and hiding in their beds. How did their dishes start haunting them? Charlotte and Eileen must find out. With every meal, the dishes stack higher against them. They have to break this crazy spell! Visit the Family Magic website for more information. 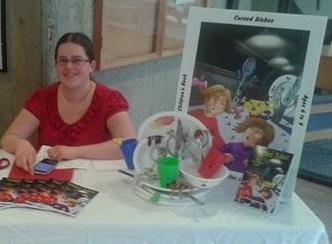 Author Jennifer Lott showcased book one of her Family Magic series Cursed Dishes, illustrated by Italian artist Doriano Strologo. Estimated for ages 6-9, this short chapter book was presented at the festival with free magnets and water tattoos. It was nice meeting you at the festival, Jennifer.